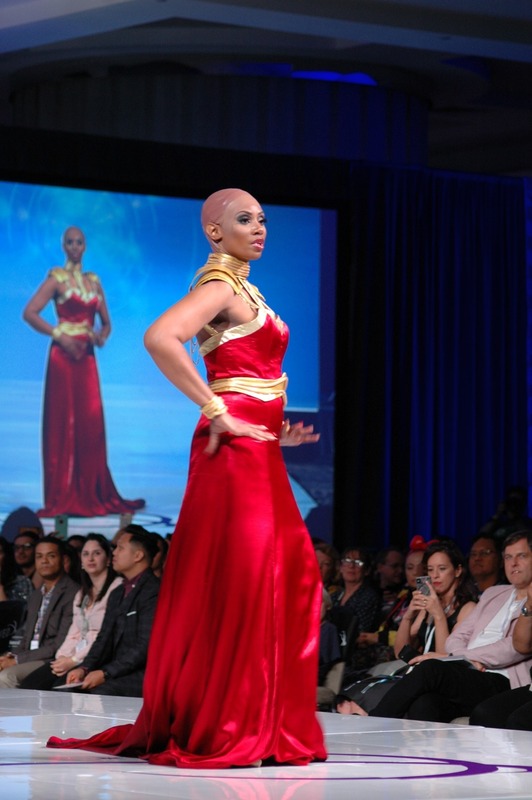 For the 5th year in a row, Thursday night at San Diego Comic-Con was taken over by geek couture thanks to the Her Universe Fashion Show. 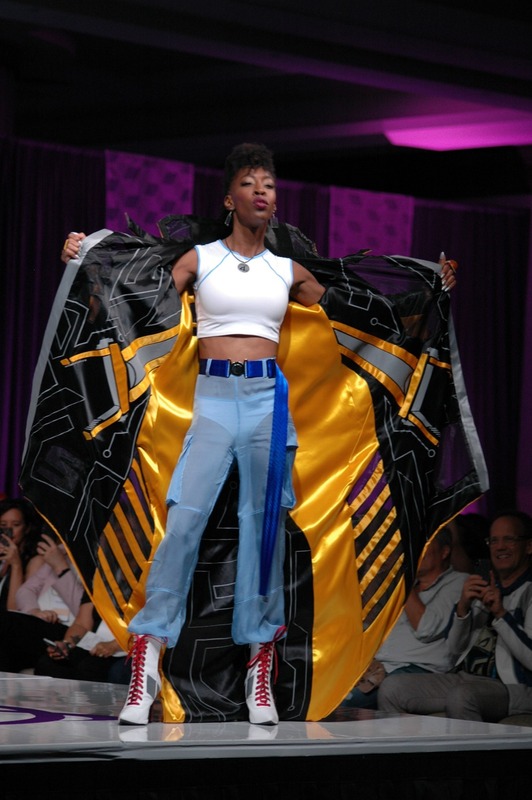 The annual event aims to bring a New York fashion week style event to the convention every year, proving that geek fashion can be high end and that it is here to stay. 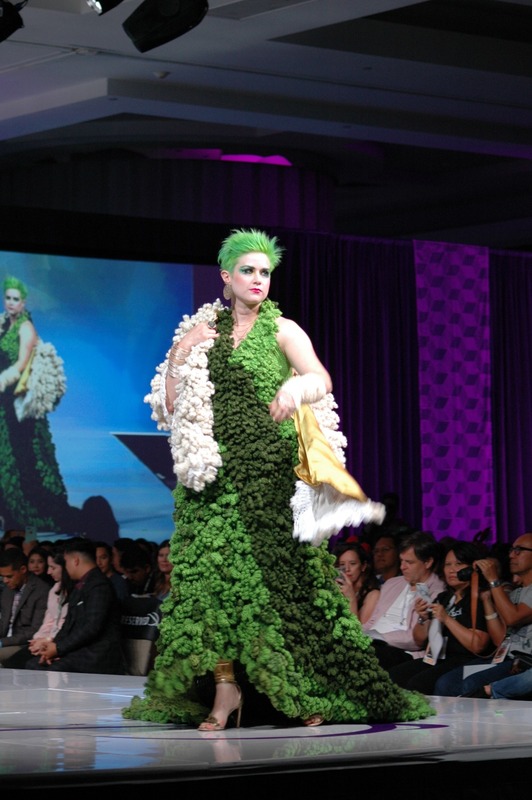 This year’s theme was “Milestones” and the designers certainly delivered some breathtaking pieces to the event. We’ve got all the looks right here, plus the three winners who will be creating an Avengers-inspired line for Spring 2019 for Hot Topic. 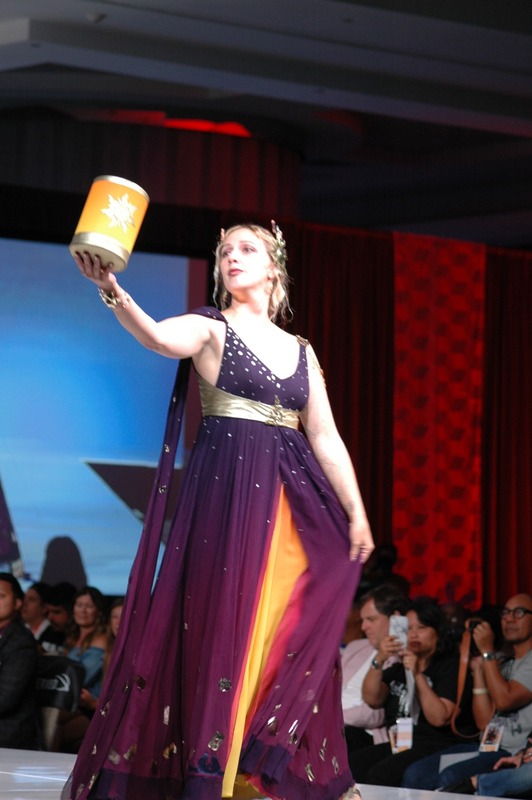 The evening was full of amazing fashion, but it started off as always with the reveal of Her Universe founder Ashley Eckstein’s custom gown, made in honor of the 25th anniversary of The Nightmare Before Christmas. Ashley’s gown consisted of 500 Funko Pop Vinyl skulls from Jack Skellington figures and weighed in at a whopping 40lbs. Wow! 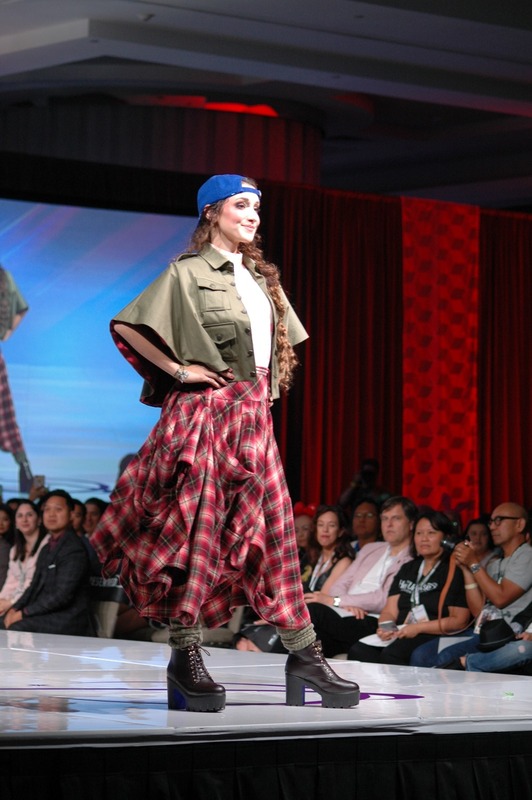 Not only did we get a peek at the collection designed by last year’s Fashion Show winners, but Ashley confirmed what was announced earlier in the day– Star Wars: The Clone Wars is coming back with new episodes on Disney’s new streaming service! 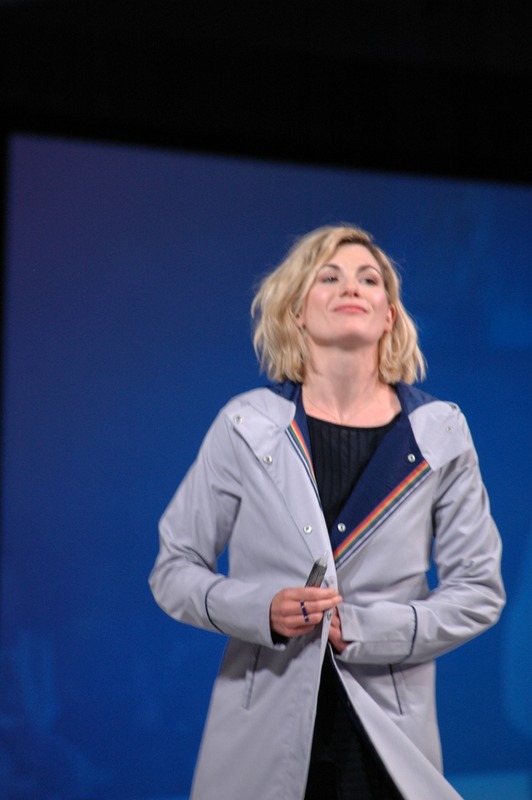 She introduced the audience to her two co-stars of the series, Dee Bradley Baker who voices the Clone Troopers, and Matt Lanter who voices Anakin Skywalker. 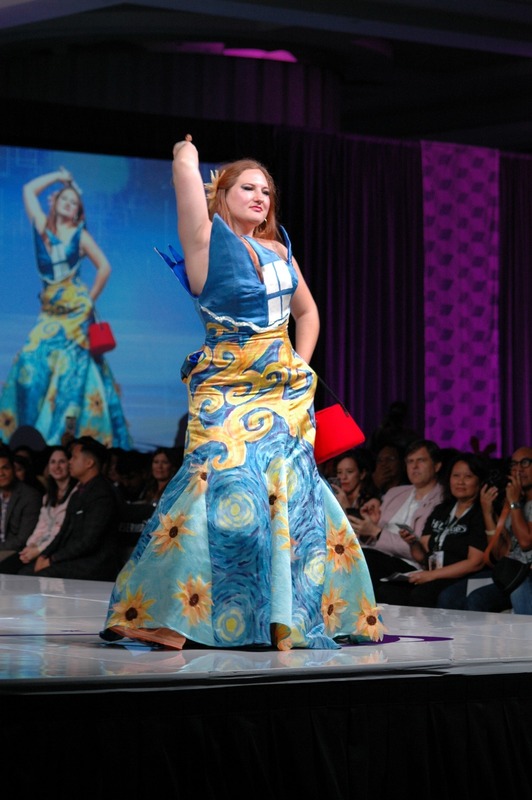 And then the fashion show got started in earnest. 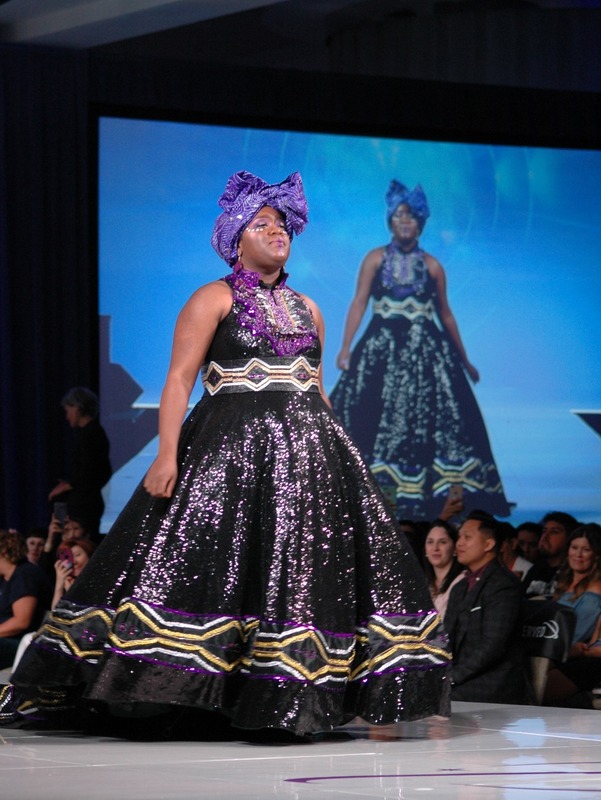 There were SO many amazing designs this year that we will feature as many as possible. 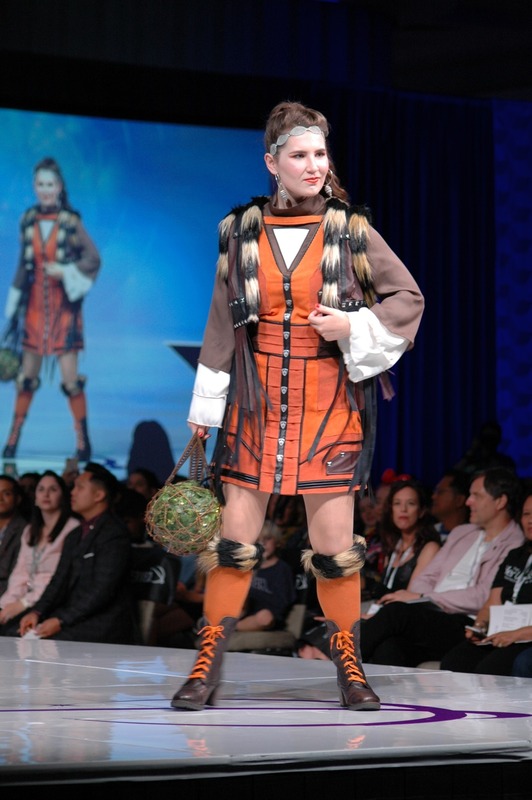 As one of the biggest surprises of the night, during one of the breaks between groups of models, Ashley Eckstein announced that there was a model who hadn’t been able to showcase their piece during the Her Universe designs portion at the start of the program. 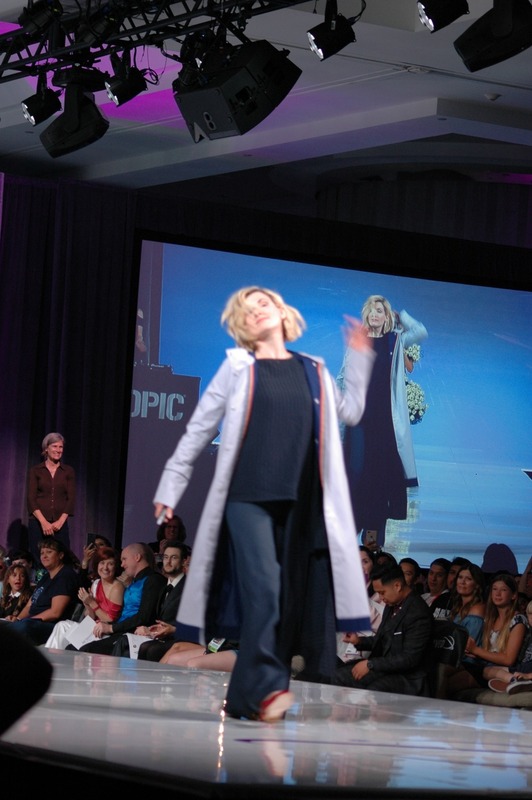 The model came out to music from Doctor Who….and when she threw back her hood it was none other than Jodie Whittaker, the Thirteen Doctor herself! Needless to say, the audience roared. The show also featured four winners of a Cartoon Network sponsored fashion design contest for entrants aged 7 to 17 who will work with Her Universe to design a collection inspired by the Powerpuff Girls for BoxLunch. 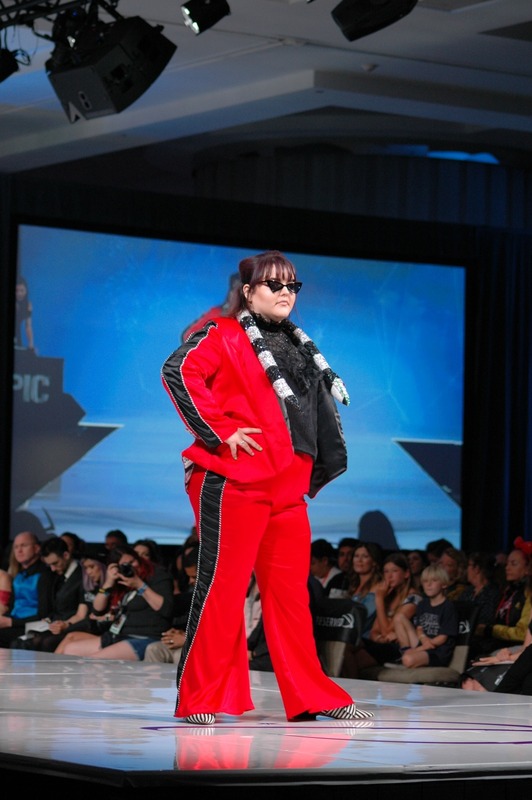 There were three winning designs this year: Jane Burson’s Howl-in For You, Cynthia Kirkland’s The Couture of Water, and Kristi Siedow-Thompson’s PWL CHIC: Ripley in the Powerloader. Congratulations to the winners! They start their job Friday while still at Comic-Con, working on the collection for next year. 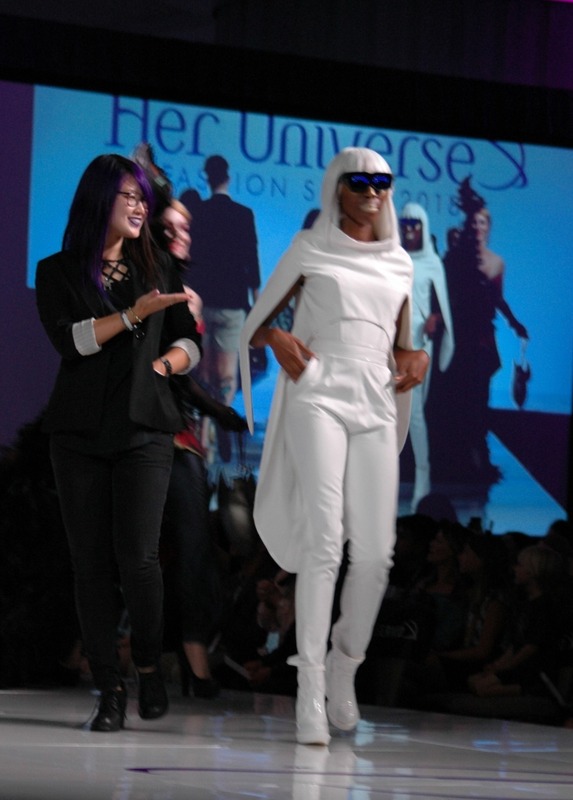 So that’s it from the 2018 Her Universe Fashion Show! What was your favorite look? Are you excited for the upcoming Avengers line next year? Let us know in comments or on social media!